First off we had a News update on 24.02.16 announcing that Cameron Balloons Flight Manual goes to Edition 10 Amendment 13. According to the TCDS Cameron Balloons must use Edition 9 or later EASA Approved version of the Flight Manual so this does not necessarily mean that you have to update your existing manual if you don’t want to but it is recommended, bearing in mind that you may also have to download some supplements if required. Your inspector or the manufacturer can always help if required. There are 36 affected pages including the index bits. 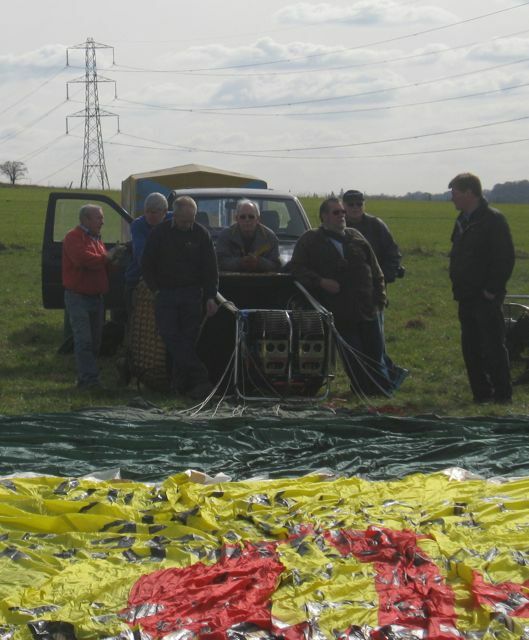 The bulk of the changes affects minimum equipment but there are changes to the load charts and rigging requirements mainly on larger balloons. On the face of it there doesn’t appear to be anything of any real consequence but it is now written that Quick Releases must not be used as part of a tether kit. If neither of the links work go to www.cameronballoons.co.uk and click on Support. anything of any real concern. Now for the rest of the News some of which may be relevant! We probably get more enquires on this subject than any other and thankfully Kevin Meehan has written a definitive account of what exactly is required. It is all pretty straightforward and easy to understand. 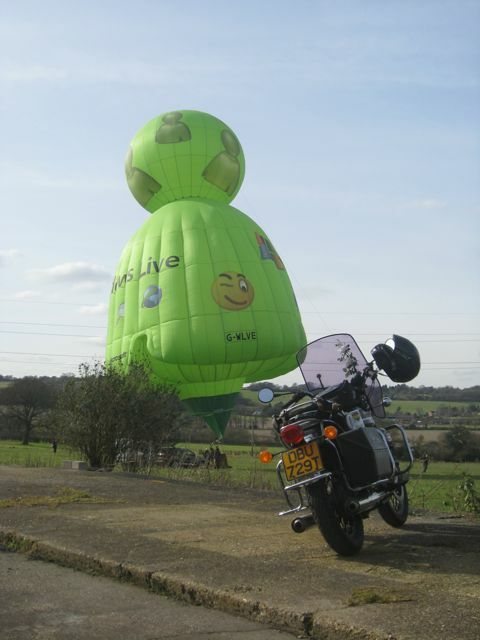 Entitled Maintaining and renewing your UK PPL balloon licence it couldn’t be put simpler. First and foremost the UK CAA PPL (Balloon) licence is valid for life providing the medical requirements and currency requirements are maintained and blow me down here they are. The actual flying currency requirement, recorded in your logbook, is that a pilot has to make five ascents as Pilot in Command within the preceding 13 months OR satisfactorily pass a General Flight Test (GFT) with a PPL(B) examiner or undertake the balance of outstanding flights either under the direct supervision of a current BBAC Instructor or Examiner (with no other passengers being carried), or as solo flights. To revalidate your licence if you have not managed to remain current for a period exceeding 13 months you will need to meet the following requirements. Possess a current valid medical certificate (see above for info), Pass a General Flight Test with a CAA appointed PPL(B) Examiner (not a TRE) OR undertake the balance of outstanding flights either under the direct supervision of a current BBAC Instructor or Examiner (with no other passengers being carried), or as solo flights. If you have not met the currency requirements for a period exceeding 4 years you will need to get hold of a valid medical certificate, apply to the CAA through the BBAC Senior Examiner (Kevin@northernflights.co.uk) or directly to the CAA’s Training Inspector(Balloons) (ian.chadwick@caa.co.uk) for an assessment of the amount of dual and solo flying that may need to be undertaken. You will then need to undertake an actual assessment flight as a Pu/t with a BBAC Instructor who will assess your skills and abilities to determine the amount of further training required before undertaking a GFT. The Instructor will report back to you and the Senior Examiner, with recommendations for the training requirements, which may include some written exams depending on the time that you have not been flying. Once that is decided then complete the required training including a recommendation flight for a GFT. The instructor must sign your log book to show the training flights that have been undertaken. Next up pass a PPL GFT The examiner will sign your log book on completion of a successful GFT as a revalidation flight for PPL(B) which will revalidate the balloon rating in the licence. Providing you don’t need to sit any exams then you are good to go. You may have to resit some written examinations as there may have been changes to Air Law, for example, and the examiner will need to ensure that you are aware and have knowledge of these changes. You may also be required to pass the Human Performance & Limitations paper if this was not required when the original licence was issued. The UK CAA have launched yet another masterful word wotsit to help improve safety making their most hated word ‘Stakeholder” seem puny or the term ‘roadmap’ fade into the far distance. 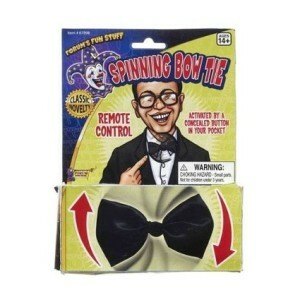 This new thing is called a ‘Bowtie model’ which I first read as a Bowie model which did really confuse me. Hey, but it’s a simple concept as Risk Specialist Laura Madden explained somewhere hidden in Fallingskywise news on the CAA’s equally baffling unconnected website. She starts somewhat puzzlingly with, ‘If someone said the word “bowtie” to you, what do you think of? An accessory or a safety risk management tool?’ Well the accessory, my dear, is spelt ‘Bow Tie’ not ‘bowtie’ unless you are advertising one for sale on eBay where spellinks are sumwot wired. ‘Bowtie’ ought to be pronounced bootie’ but we are already getting away from her explanation and I apologise. Well I looked it up in Termsandexpressionsnooneunderstands.com and discovered that Bowtie ‘is an ultrafast, memory-efficient short read aligner. It aligns short DNA sequences (reads) to the human genome at a rate of over 25 million 35-bp reads per hour. Bowtie indexes the genome with a Burrows-Wheeler index to keep its memory footprint small: typically about 2.2 GB for the human genome (2.9 GB for paired-end)’. Which, I have to say I really don’t understand. Anyway, as far as the CAA goes that is twosh and this is what Laura goes onto say…..
‘If you think the latter you may either shudder at the potential size bowties can be or like me, you smile in appreciation for what information they can offer a safety conscious business. What do bowtie models tell us? Laura also Chairs a Bowtie User Group (BUG) for UK and Ireland aviation bowtie practitioners. They meet quarterly to work on best practice guidance and to be a support network for each other. Say no more but if you're keen to know more please contact them at safety.performance@caa.co.uk. If you want to learn about the CAA’s bootie stuff there are pages of it. I lost the will when I couldn’t find a roadmap for a Rounded Club and, overall, I ended up more flummoxed than when I read ‘How to create a risk assessment chart. National Bow Tie Day 2016 (well there had to be one) is on August 28th and it is rumoured that all CAA staff will be honouring the day by wearing a bow tie. Details are at http://www.nationalbowtieday.com and are much more understandable than the CAA booty site which is at www.caa.co.uk/bowtie. 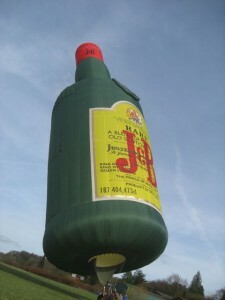 News is out that, by the wonder of détente cordial juice, the Northampton Balloon Festival is set to return to the old Racecourse site and once again be part of the Northampton Town Festival thanks to the efforts of the Chiltern Region BBAC who will be running the balloon side of the event as its Mid-Summer Meet. This is the first year that balloons will be back on the Racecourse and it is hoped that the festival will grow and develop into an annual event. They are providing a balloonists package which includes free gas, meals and onsite camping. The event will have free flying morning and evening on Saturday 2nd and Sunday 3rd July with a Night Glow on Saturday followed by fireworks and limited tethering in the afternoons for those so inclined. 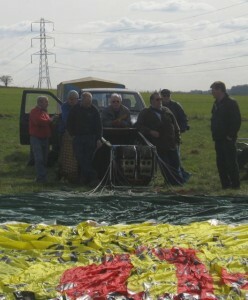 For this year they are limiting balloon entries to 25 teams and understandably giving CRBBAC members first refusal. Interest from outside the Chiltern Region has already received so if you want to go best you contact John Tyrell at ntfballoons@btinternet.com. Seems this is a timely warning that it isn’t just airport airspace breaches that can land you in trouble. A man who used a paramotor to fly into last year's Glastonbury Festival has been fined after he admitted breaching restricted airspace around the Somerset arts and music event. David Hoare, 59, of Somerton, Somerset, was seen by event managers flying over the festival's Healing Field on the evening of Saturday 27 June 2015. Airspace around the festival is restricted to protect the public. After landing his paramotor in an area known as the Sacred Space, Mr Hoare was apprehended by security personnel, before being handed over to the police. Appearing at Weston-Super-Mare Magistrates' Court on Wednesday 27 January 2016, Mr Hoare pleaded guilty to one count of flying within Glastonbury Festival's restricted airspace. The court heard Mr Hoare had a previous conviction for an identical offence in 2010. He was fined £400 and ordered to pay costs of £160 to the Civil Aviation Authority (CAA), which brought the prosecution. The CAA said it was determined to take action whenever necessary to protect members of the public, including prosecuting those responsible for flying into restricted airspace and although the person flying a paramotor does not require a licence, they are still subject to the Rules of the Air. Great news that Stephanie Bareford is to run the New Beginnings Meet this year. Aimed specifically at Pilots under Training enabling them to gain some flying experience with a number of pilots and instructors in a new and friendly area. New crew are also welcome. Additionally this time round she is also combining it with the ‘Introduction to Competition Ballooning Meet’ from last year and so pilots are also welcome to come and try their hand or gain some experience in competition flying with some light-hearted tasks and the chance to get advice and tips from other competition pilots. Will Wood needs help - Why do you do it survey? Wils Wood, our late mucker Chris Wood’s son is in his last year of Uni studying at the School of Sport, Health and Outdoor Education at the University of Wales Trinity Saint David. He is inviting balloonists to participate in his research project. As part of his final year at university he is carrying out research surrounding participation and motivation in ballooning as a sport. Will explains, “Below is a link to my online survey for which I consider your opinions to be of high importance in relation to my research and will be extremely helpful to me. Through your participation in the survey I hope to ascertain what level of participation you have in ballooning and the motivations for this. All responses on this survey are entirely anonymous even to myself. At NO time will any individual survey results be released to the general public. However after the completion of this project the participants are more than welcome to ascertain the results of my survey. If there is sufficient interest I will post something on the BBAC forum or through social media. Your participation in this study is completely voluntary so you can withdraw from the survey at any stage. The survey should take you no more than 5 minutes to complete but there are no time constraints. There are also no right or wrong answers. After careful and precise analysis of the data obtained from this survey, I will hopefully develop my understanding of the reasons behind participation and help to establish areas where we as members of the ballooning community can work together to expand and encourage new members to get involved. I thank you in advance for your time. If any questions do arise, feel free to contact me at your convenience.” Contact him by email 1201332@student.uwtsd.ac.uk. The link to the survey is at https://www.surveymonkey.co.uk/r/LVLBRV8 Be appreciated if you can help. Every day we get notice of an EASA Airworthiness Directive (AD) or Safety Information Bulletins (SIB) and their associated updates. You should see how many ADs come out for Airbuses! I was going to log them all but after two weeks lost the will to fly in one. Now the other week this came out. ‘The following Documents have been published or updated by EASA and may be of interest to you: AD 2016-0027 - SCHEMPP HIRTH FLUGZEUGBAU: Flight Controls and Airbrake Panels Inspection’. 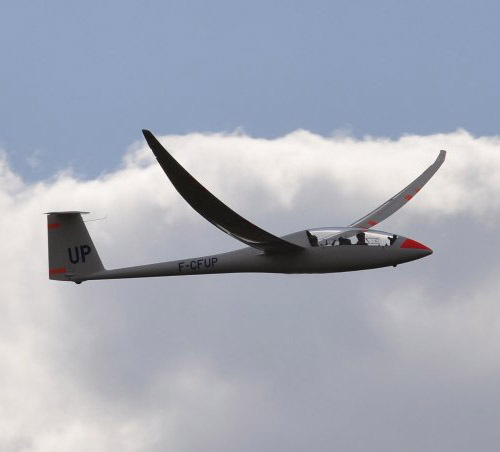 I’d didn’t have a clue what a Schempp Hirth was so I took the lazy option and bashed it into a searchy thing and it turns out that they are a glider manufacturer of some repute. 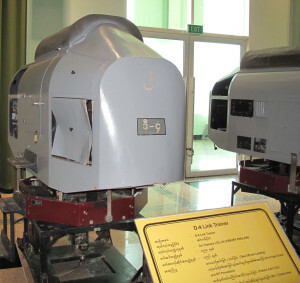 The AD refers to the possible unsafe operation of the airbrakes of some of their marques which could cause asymmetrical loading which could cause loss of control mainly as a result of component failure or insufficient clearance between the air brakes or their components causing them to jam. Having now seen some amazing pictures of these gliders with outrageously loaded wings bending at quite amazing angles I can see that it wouldn’t take much to cause jamming or failure if you didn’t use the airbrakes correctly! Here’s a great opportunity if you want to move on from flying ride balloons or just want to get the chance to see if airliners are the thing for you, but only if you are a woman. Last autumn easyJet announced its plan to increase the proportion of new recruit female pilots into its workforce. Industry-wide the proportion of female pilots has remained at around 5% of all pilots for decades. Currently women make up 6% of easyJet’s new pilot intake and the airline plans to double this to 12% over the next two years. The launch of the initiative is one of the first parts of a long-term strategy to increase female pilots. These first six ab initio pilots will have their training loan of around £100,000 underwritten by the airline. To help fulfill their aims, in partnership with British Women Pilots' Association (BWPA), easyJet has launched the Amy Johnson Flying Initiative and will underwrite the funding for six female recruits through the initiative. Amy Johnson was the first woman to fly solo to Australia in 1930. Originally from Hull, she gained her pilots licence in 1929 at the London Aero Club. This year is the 75th anniversary of her death, while flying over the Thames Estuary for the Air Transport Auxiliary in 1941 during the Second World War. To find out more go to the BWPA website at www.bwpa.co.uk. EasyJet are at www.easyjet.com. Nick Purvis reports that Jacob Vaillancourt of Saint-Jean-Sur-Richelieu, Quebec, Canada, an experienced commercial pilot, instructor has joined the team of Cameron Balloons International Representatives. 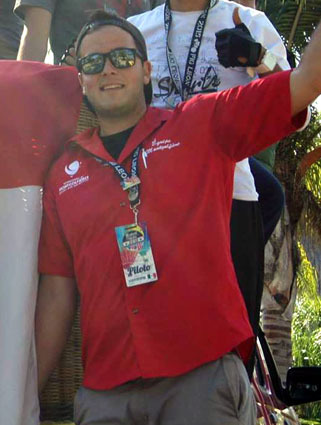 Jacob joined their international network of Cameron Balloons Representatives in January 2016. Jacob is fully-fledged fire-fighter, fighting fires and saving lives and flies everything from a 77 to a 315, with many of his childhood flights in a Cameron Balloons built N-90, c/n , built in December 1990, for his father. His father Richard Vaillancourt is well-known in Canada organises the Montgolfieres Saint-Jean-Sur-Richelieu Balloon Festival, an eight day extravaganza which utilises over 1600 volunteers and hosts about 100 balloons and teams and attracts half a million visitors each August. You can contact Jacob by email atmontgolfiere90@yahoo.ca or see him on Facebook. Camerons have announced that they are to run one of their popular Cameron Balloons Maintenance Course from Tuesday 5th April to Thursday 7th April at their Bristol factory. It is ideal and beneficial for existing or training pilots, civil aviation authority personnel, Cameron Balloons representatives and for experienced balloonists who would like to refresh their balloon maintenance skills. The course is run by Cameron Balloons exerienced staff, overseen by Cameron Balloons' Production Director Lindsay Sadler. On completion of the course you will receive a Cameron Balloons certificate which will list the level and skills you have attained. Please note, being a Cameron Balloons certificate holder does not permit you to be an approved inspector nor an approved repair station. There will be a minimum of six and a maximum of 18 delegates per course. 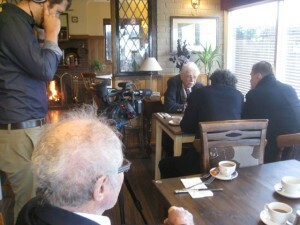 (Usually groups of six to eight for each of the three Course Workshops). In response to questions asked at the recent “Icicle Refrozen” balloon event with regard to the carriage of passengers who have directly or indirectly paid for their flights at overseas balloon events the CAA have issued the following advice which one ought to pay heed to especially in light of the recent CAA led prosecutions. 1. You hold an unrestricted, current and recent UK CPL (Balloons). 2. Your balloon is listed within the Operations Manual of the UK AOC(B) of a current UK commercial balloon operator. 3. The AOC(B) in question has its certificated area of operations extended by the UK CAA to the country in question. (This is not a complex exercise providing that the UK AOC(B) holder can demonstrate to the CAA that the host country’s National Aviation Authority approves of you operating commercial passenger ballooning there). For a pilot who holds a UK PPL(B) or UK CPL(B), flying a non-UK registered balloon at a non-UK balloon meet, you must comply with the requirements of the national aviation authority in the country of the flight and also ensure compliance with the UK ANO in so far as pilot licensing. The ICAO rules specify that you must comply with the regulations of the country in which you are flying AND the regulations of the country of registry of your balloon. In the case of rules varying, you must comply with that which is the most restrictive. This, remember, is not some devious new EASA or CAA regulation but a worldwide one which has been in place for many years. With regard to insurance, any commercial activity (take that to mean anything other than purely private flying) requires the higher commercial level of cover. But, if it is found that you are operating illegally, then your insurance might still be deemed null and void. One of the longer-term benefits of EASA will be that the same rules should apply to pilots from all EU states. However, for the moment, different rules continue to apply to individual EU states and to pilots licensed in and balloons registered in different EU states. An example of this is the rules for cost sharing and for charity flights. Remember, the UK Charity Flights AIC is only applicable for UK registered charities. UK cost sharing rules limit the number of occupants, require the pilot to pay a contribution of the costs and allow only the direct costs of the flight. Any flight where any benefit is received (either financial or other valuable consideration) cannot qualify as a cost sharing flight and would almost certainly be considered a commercial activity. The CAA’s Intelligence and Enforcement Team (IET) has recently successfully prosecuted some balloon pilots. Therefore, if you want to remain legal, be very wary of accepting invitations with the obligation to fly any third parties who could quite easily be fare-paying passengers. We are aware that some people are experiencing issues accessing this information. As a consequence of the new European reporting regulations (EU Regulation 376/2014) it has been determined that safety will be best served by ensuring that the reports submitted by the aviation industry remain confidential. This means that reports can only be shared where there is a clear safety benefit for doing so, and the CAA is actively exploring ways in which we make safety information available on our website in compliance with this new regulation. As mentioned above, under the new regulation, occurrence information can only be used for the purpose of maintaining or improving aviation safety, and the release of occurrence information to the general public or the media, including in response to Freedom of Information Act (FOIA) requests, is not permitted. If you still require occurrence information for the purpose of maintaining or improving aviation safety please make an application to the CAA using this link http://www.caa.co.uk/Our-work/Make-a-report-or-complaint/MORS/, as all previous access has had to be removed. I understand that the process for continued access to this information may be a slight inconvenience, but I trust you appreciate the need for it to ensure compliance with the new regulation. Open Reporting: The CAA and fellow European regulators believe implicitly that in the interest of air safety, the aviation industry must be fully engaged in the routine reporting of incidents when they occur. For this to be achieved the industry have to be assured that reports they file will only ever be used in the interests of safety. Coupled to this is the concept of ‘Just Culture’, which the CAA has promoted vigorously for many years, and encourages and supports the open reporting of safety occurrences by personnel employed across the aviation industry. The protection of the travelling public is, and will remain our number one priority and we will continue to work with the whole aviation industry to constantly improve safety standards. How amazing is that? ‘As a consequence of the new European reporting regulations (EU Regulation 376/2014) it has been determined that safety will be best served by ensuring that the reports submitted by the aviation industry remain confidential’. Blinding. Let us hope that the CAA can sort this nonsense out sooner rather than later. The full details of the wondrous Grass Roots Meet are now available on their website and contained in the entry form. There are some changes this year worth noting. The event will run over 8-11 September with extra flying slots on Thursday evening and Friday morning. The deadline for entries is 15 August 2016 (it’ll cost more on the day). If the weather is naff then the event (and your entry) will be rolled to next year. A decision will be made within 48 hours. Robert who? Pooley’s Guide to airfields, logbooks Airtour Balloons the list goes on and on. There are some truly great stories surrounding Bob Pooley, now over eighty, during the early years of ballooning not least the one concerning his secretary who he trained to fly in a cloudhopper by shouting instructions up to her. Ray Bayly is your man to chat to. Congratulations to the great man for getting an MBE in the New Year Honours List. 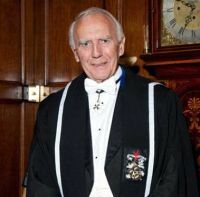 Although extremely well known for his Pooley Guide not many realise that he is even more famous now for supplying military swords throughout the world having taken over their production from Wilkinson Sword in 2005! Charles Desmet has just sent out an invite to his very popular laid back Impossible Dream Hot Air Balloon Meet to be held in Vencimont in the Belgium Ardennes, from 7-9 October this year. Maybe the most relaxed balloon meet you’ll find with no sea around, no controlled zone, friendly farmers and where pilots can socialise without having to perform for the public. It also now seems that Vencimont has been blessed with a favourable micro-climate in October for the past few years making it not unusual to get three flights a day in. For all pilots and crews they are providing lodging (up to 3 nights included, the extra night on Sunday night is free), a Saturday and Sunday early morning "full English" breakfast, professional weather information and all the propane you need to be happy. Tomo’s ex-wife Auburn has sent a note out updating his movements. Several of you will know that last autumn Tom moved to live in care. Whilst the move from Yorkshire to Wells into a flat just five minutes’ walk from where I live was a happy and successful one for him, his illness has meant that he has slowly been losing the ability to safely live alone, even with considerable help from Cate and me and a wonderful person called Linda. As a result, in October, he moved to a place in Stoke Gifford in the north of Bristol. Sadly this hasn’t proved the be success we’d hoped for and we also found the journey could take hours in the Bristol rush hour. Fortunately we’ve now found a place that we feel he will be happier in and is much more accessible. He is now at The Garden House, St Monica Trust, Cote Lane, Westbury on Trym, Bristol BS9 3UN. They have a purpose built unit called The Sundials and we have every hope that it will be somewhere that he feels settled and secure. The development is just on the edge of Durdham Downs and is easily accessible for anyone visiting Bristol. It would be lovely if any of his friends felt like seeing him. He benefits enormously from talking to old friends who he can share memories with and its very good for him to see people that he knows. One can just stay in the home with him where they will always make visitors welcome or one can take him out for a while. You may well find him quite changed since you last saw him. As his illness has progressed, there has been a great loss of short-term memory and cognitive skills but at the same time he has become much less frustrated and seems much happier in himself. Whilst there are days when conversations with him can be a little difficult to follow (! ), one just has to ride with it as it really does do him good to see old friends. So, apart from being an update on how things are with him, this is also a request to all of you who are his friends to please think about visiting him, even just for half an hour, if you happen to be in Bristol. If you want to telephone the unit try either 01179 494 325 or 01179 494 619. You could send him a belated birthday card as his birthday was on 2nd February! Most of you know that I’ve not had much to do with him during the last thirty odd years so there will be people who are more recent friends if you know of anyone, I’d be grateful if you could forward this on to them. Thank you. Auburn. Well who would have guessed it but we only managed to get Godders Bottle and the fat skittle up on the only extra day this year. We’d been watching the ground and weather for a chance to get both these shapes inspected for ages. T was either too windy or the ground too wet but the 29th of February provided virtually flat calm conditions and a dry field. Now as you know we don’t do Mondays but as this was an extra day it didn’t really exist so it was deemed OK and what a turnout we had. Not only did Andy Austin and Chris Freeman the new joint owners of the fat skittle thing turn out but they brought along half the BBM&L meanwhile Faceache had clearly got the nod and Pete Bish’s clan led by Mike Drye enroute to collect some seats to recover from Phil Dunningtons Beech 18 which is having a makeover along with Sandy Mitchell and Martin Freeston zooming in and out for a piccie. Notable absent (apologies sent) was Pete Bish himself who was busy clocking February 29th, something had yet to do, and Nick Godfrey who chose to go to the City on a bit of business, nudge, nudge. First up was the fat thing, G-WLVE described as a Buddy-90 built in 2006 and tipping the scales at 228kg, and although not the most stunning or interesting shape about was found to be absolutely pretty well minted. It isn’t actually that big in reality and didn’t take up much room when pulled out, in fact it was deceptively short looking. It had been operating in Spain and was sold to Messrs Austin and Freeman by Andrew Holly. Now it has to be said that, despite its non-spectacular shape, checking it out and the way Camerons designed and built it, it is without doubt one of the best built shapes we have ever seen. It is supposed to be curvy and gadnabbit it truly is. There isn’t a harsh line anywhere and not an ounce of misplaced or random stress detectable. The internal crown ring and load tape arrangement is truly a work of both practical and physical beauty. It took a fair bit of packing away but was outrageous. There are I admit a lot more appealing shapes out there but this one is a masterpiece. Godders last J&B bottle, not recycled, G-OJNB built by Lindstrands s/n 436 in 1993, has led a life of luxury under the snooker table in his Chiltern mansion for a number of years and has to go to pay for repairs to his Alvis tourer. As with all the bottles it is very long when it comes out the bag and at a stately 172kg needs the ‘unload from the trailer’ method. Very kindly Andy Austin let us use his bottom end to inflate it which made things a whole lot easier. Inside and out it is unmarked without a trace of whiff or mildew which isn’t surprising considering the care with which it had been stored. Mr Austin performed a textbook inflation ducking out the way whilst the yellow shot past his shoulder and was promptly carried off by my dog. The artwork is splendid. One day we ought to see how many balloons have the Royal Coat of Arms on them and which is the best rendition. I reckon this one is. 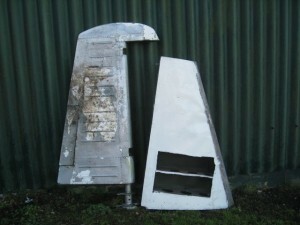 With two big triangular rip panels it deflated very quickly and being a simple tube was soon rowed up and packed away. Just as Nick turned up all apologies and limping on account of a new knee. “I saw it from the train,” he enthused, “It looked great.” His timing was perfect, still a professional that Nick. Well that was that, all we had to do was annihilate the rather splendid cake Mrs Andy had sent down for us. Big thankyous to everyone who helped, Mike Drye for being there to have the mick extracted and to Andy for the gas! As far as Godders is concerned he had to rush as he had a plane to catch to Spain the following morning and needed to press his climbing ropes. Best not complain too much as he is taking me to the Tring Brewery Shareholders bash next weekend. Cotswold Airport (formally RAF Kemble) near Cirencester is now accepting applications for their 2016 Aviation Scholarships. The scheme, which was introduced eight years ago provides teenagers from 14 – 18 years of age living in the Gloucestershire/Wiltshire area the opportunity experience all career options available within the aviation sector. The ethos is to provide them that vital initial experience that will put them on the first rung of the ladder to their chosen career path. Funded by Cotswold Airport owner Ronan Harvey, the Scholarship programme has already helped change the lives of over 60 previous scholars helping them embark in an Aviation based industry, whether it be Military, Commercial flying, engineering or Air traffic control. During the scholarships, students will receive tuition at the airport`s aviation ground school, including flying lessons, experience at first-hand the work of air traffic controllers, flying instructors and engineers, whilst receiving guidance from aviation professionals heading blue chip organisations such as Rolls Royce and Airbus. This years scholarship programme runs from Tuesday 29th March - Friday 8th April 2016. 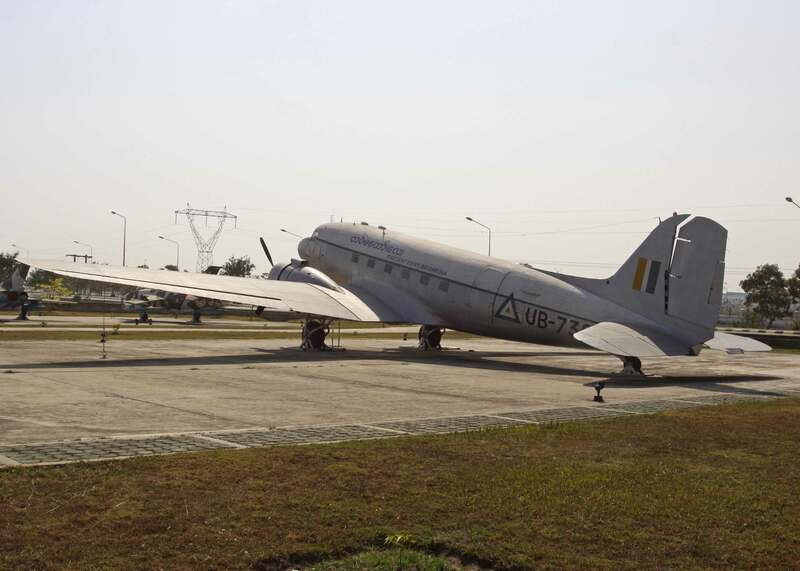 Andy Davey, always on the look out for something Old and Rusty and always interesting sent us some pics of Link Trainers he has discovered in the Defence Services Museum in Naypyidaw, Myanmar. With a bit of sweet talking to the right people & a bottle of Black Label (as you do) he managed to get photo access to all areas. Lurking in one of the buildings were these Link Trainers built under licence by the old Aylesbury-based Air Trainers Limited which closed in about 1973. Well there’s a thing! Link trainers were invented by an American called Mr Link in about 1930 to teach instrument flying and were used throughout the world. We had a go in one once and it was extremely hot! In the UK they were built under licence by JVW Ltd, formed by Air Commodore Fellowes RAF (Retd) in Aston Clinton. The company was renamed ATL in 1946 and moved into the former Cubitt car factory in Bicester Road, Aylesbury before becoming Redifon ATL and moving further down the road into purpose-built premises employing some 1200 personnel. In 1972 production shifted to Crawley and the factory became Rediffusion and switched to making aerials and satellite dishes. Both factories were demolished a few years ago. RAF Halton has a secret museum that has just taken delivery of a couple of old Link trainers which they intend to restore. Made the village news you know! One is a D2 Trainer built under license in 1942 by Air Canada Trainers to provide pre-flight training and was acquired for the Royal Air Force by Air Trainers Ltd, when the company was known as JVW Ltd. The other is a D4B and was built in Aylesbury by ATL and is Serial No 001, the prototype on which numerous RAF Link Trainers were based for training instrument flying on aircraft such as Jet Provost, Gnats, Varsity and Argosy and the same type as the one Andy found. Small world. 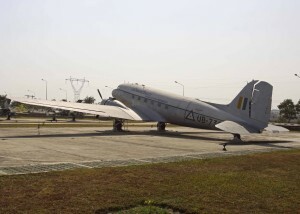 Just to keep us happy he also sent piccies of the fine collection of static aircraft including a sad Dakota. Sadly we have to have a look at all of these that come out from the mixer that is EASA just in case they might have an affect on us. This one caught my eye though because of the date of inception had been back in 2012. ‘Please note that according to Article 6.5 of Management Board Decision No 01-2012, the consultation period of NPA 2015-22 'Open rotor engine and installation' has been extended until 21 Jun 2016’. Bet it gets extended again. 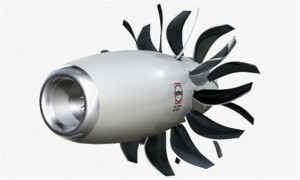 Now this is interesting as an open rotor engine is really still only a concept when it comes to commercial or practical applications with only a half a dozen or so being produced and flight tested. They are sort of across between a turbofan and turbo prop in so much as two or compressor blades are extended outside of the engine. The hope is that they will prove to be very efficient compared to a pure turbofan or turboprop powered aircraft, a 30% fuel saving being claimed. The downside is the noise. So here’s the thing, why is EASA bothering to produce rulemaking for something that is not even in production and there can’t be more than a handful of people developing them and they are mainly in Russia and the USA? Well guess who is now involved with the development of such an engine? Yup, that’ll be Airbus. So what they are doing is creating the legislation so that it matches what they have got? Cynic? Moi? ‘To place comments, please use the automated Comment-Response Tool (CRT) available at http://hub.easa.europa.eu/crt (seldom works so best email them). Thank you for your interest in and contribution to the European Aviation Safety Agency's rulemaking activities. Kind regards, The EASA consultation team’. I’ve got to get a job with that lot. Some of you may remember we had a Jet Provost tailfin and rudder propped up against the workshop wall for a while. Eventually Dangerous Dave from Henley asked if he could have it. He has already rebuilt a Hunter cockpit and nose section so we reckoned he was well-deserving. He was chuffed to bits and carted it away in the back of his restored Queen Mary. He called by the other day and handed me the back of a fag packet on which he had written its history. From ID numbers on the components he has only gone and found out that it is a Mark 1B number XM379 built in 1959. It first flew from Luton on 5th November 1959 where the Hunting Provost Aircraft factory used to be and was amongst the very first batch of 100 Jet Provost T3 basic training aircraft for the RAF built by them under contract 6/Aircraft/14157. A few days later it was delivered to 27MU at Shawbury where it was assigned to No 2 Flight Training School at RAF Syerston near Newark which is still operational. At some stage it had a bit of a prang but was repaired and went to 6 FTS at RAF Acklington with code number 8 for a year before moving onto 3 FTS at RAF Leeming under code number 10 where it spent the next six years. In 1972 it was transported by road back to Shawbury and put into storage. Finally it ended up been sent to the Princess Marina Army Apprentice College at Arborfield where it was used for repair training, hence the holes all over it, and the remains scrapped in 1992. Now quite how it ended up behind Trevor’s shed we don’t know and he isn’t saying but word is that Dave is well on the way to getting mended and painted up in its original livery. What a lovely happy story to end on.